Well, here you have it, ladies and gents- according to Box Hill Pizzaria, the best crab cake anywhere. Pretty amazing, huh? Yes, of course, I mean the crab cake, but the superlative too. My only regret was how full it made me- I attempted to take the other half to go, but since it was 70 that day, and it sat in the car for 3 hours, I decided to toss it. Or more like others decided for me. 'Cuz I might have eaten it, it was that good. I am so happy I got to see you last night!!! can we have a blogger friend dinner date? you can review it and i can photograph you. 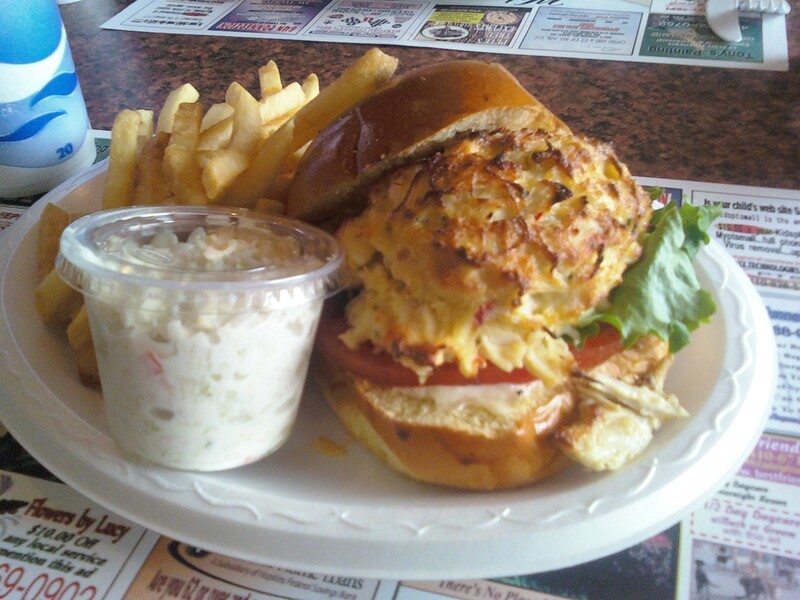 So, was it the best crab cake you have ever had? oh, i miss those!! they really are amazingly good. my mom has a recipe that comes close, tho!